One of the myths that will not go away is the idea of never again putting water on your hair, which is outrageous but perhaps with some merit to it. It is a fact that hair needs to be cleaned on regular basis. Never putting water on your hair can lead to odor and all sorts of problems you do not want to deal with. The question arises why it is still prevalent that dirty hair promotes hair growth. Some people believe dirty hair promotes growth because too frequent washing causes brittleness, breakage and dryness. You may get some of the same issues by not washing enough. If you wash your hair too often with a sulfate- laden, harsh cleanser, it will dry out and break, and never washing as the alternative is not suitable either. Scalp sebum, air pollution and natural oils all build up on your hair. Never washing your hair or just washing it once a month is not helping where growth is concerned. A healthy scalp is a clean scalp, so use a gentle shampoo on a regular schedule. Some women as they cleanse their scalps more often, they notice more growth because hair growth flourishes from a healthy scalp. 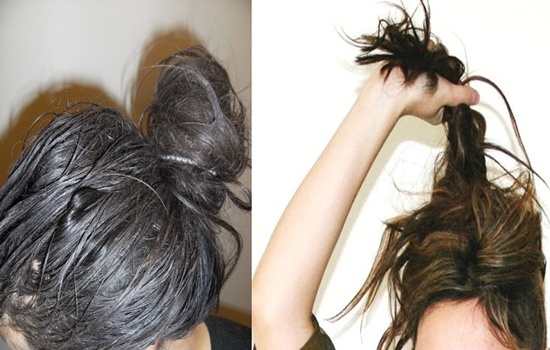 Those who are pro dirty hair would argue that it is much easier to style, since freshly washed hair is light and soft and so having it up in a bun is a challenge and heat as well does not hold. Shampooing and heat styling can lead to frizzy, poor health hair and split ends. However, well moisturized hair without shampooing every day means fewer trips to the saloon and better health. The bottom line is dirty hair does not grow any faster than clean one, so you may have sweet-smelling clean scalp and fresh healthier tresses. WHAT DO YOU KNOW ABOUT DRY DROWNING AND HOW CAN YOU PREVENT IT?